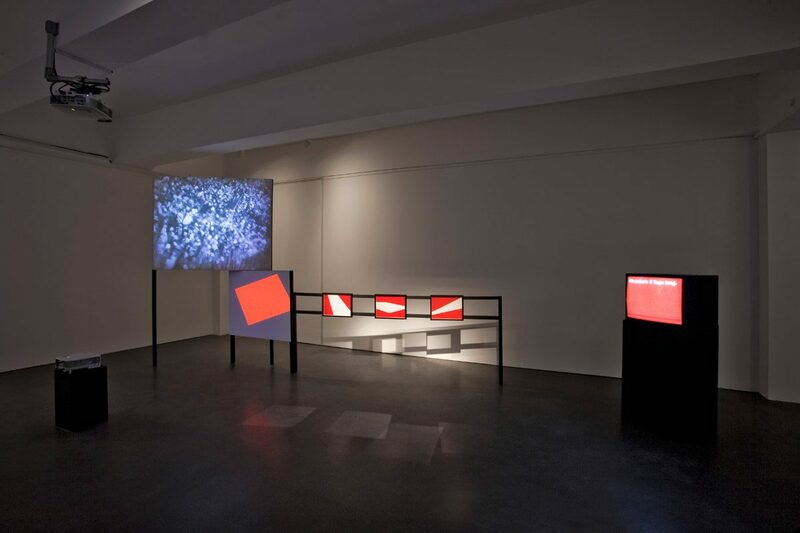 In his installation Tolpa, Francis Hunger edits and comments on different scenes from films by Dziga Vertov, a historical Soviet film director and contemporary of Sergei Eisenstein. Man with a Movie Camera (1929) belongs to his most famous works. 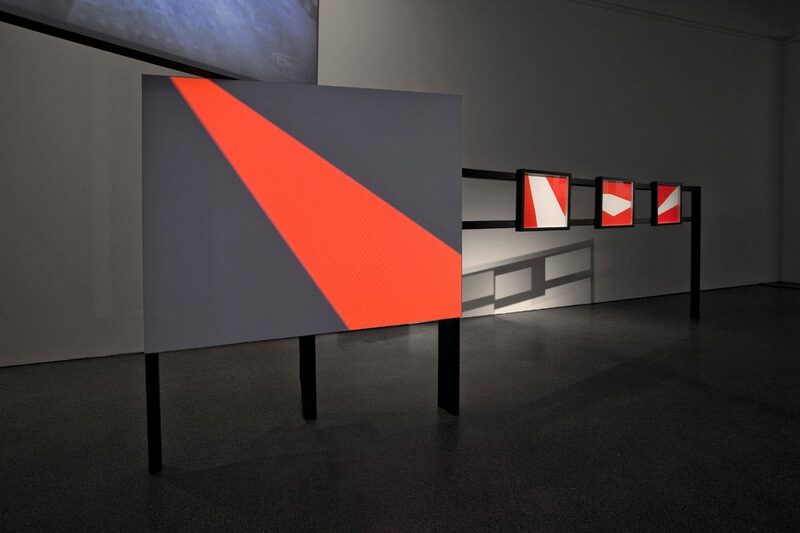 For his installation, Hunger also uses original material from two other, less known films entitled Enthusiasm (1930) and Three Songs About Lenin (1934). From these three films Hunger only edits scenes that depict masses of people, re-organized through categories: city, everyday life, workers, demonstration, army, grief. The commentary is only present, like in silent films, as inserted text. The texts describe a dialogue of two fictitious characters about different conceptual approaches to write a stage play about Vertov. 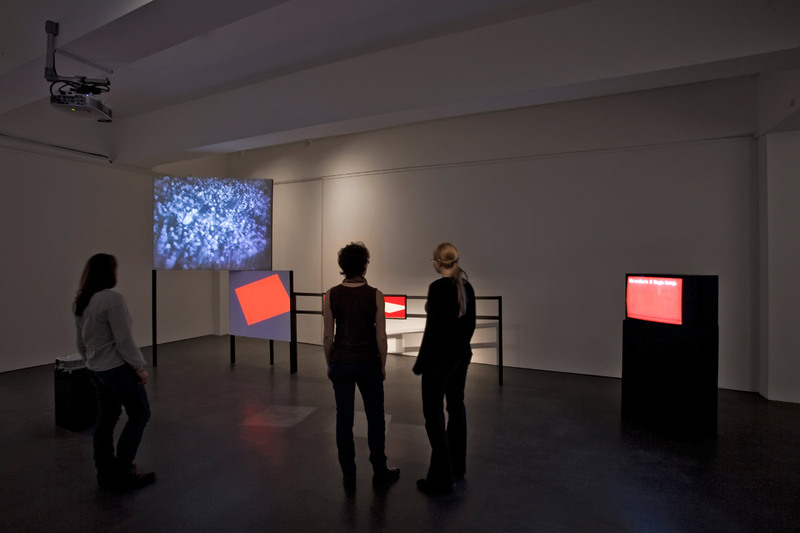 The two invisible protagonists also talk about the mass scenes, yet these only form the starting point for a conversation about the fate of the Russian avant-garde in the early 20th century, as well as the theories circulating at the time, which were located between science, utopia and art, such as those of the nowadays nearly forgotten biocosmists. 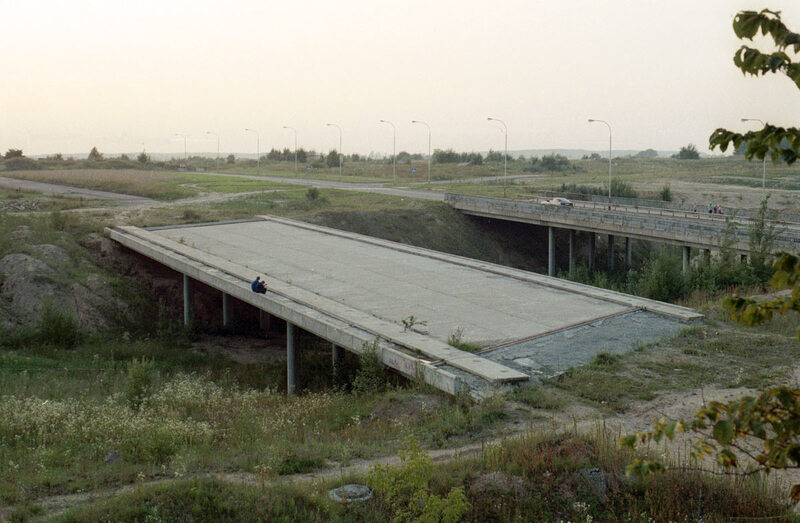 By confronting the artistic and cultural movements of that time, whose repertoire and utopia was not limited to economical questions, it can be seen just how attractive the promise of communism initially must have been for people from diverse milieus. For instance, the biocosmists aimed at resurrecting the dead in order to bestow them with the justness of Socialism. Their line of thought saw the human being as a body which can be manipulated at will, if one has the necessary, advanced technology to do so. In contrast to the idea of the resurrection of the immortal soul in Christianity, the biocosmists wanted to govern bodies in a museal sense. Instead of the grace of God, the state would function as a curator. By programmatically conquering death, time was controlled and became eternity – similar to the way the bourgeois museum, rejected by the avant-garde, creates permanence. However, resurrecting all ancestors would naturally cause a problem in terms of space: in turn, this problem became the pragmatic starting point for the Soviet space programme and the ideas of Konstantin Tsiolkovsky, the Soviet rocketry pioneer. They were formed by the basic necessity of having to colonise new planets, where the resurrected could be settled. In light of these discourses, Hunger addresses the question why and how the avant-garde, which once enthusiastically advocated the Russian revolution, was side-lined by Stalin. The art of the avant-garde as an instrument for state propaganda proved to be too hard to understand – very much unlike Socialist Realism that was declared in 1934 – and thus any kind of artistic experiment became resented. 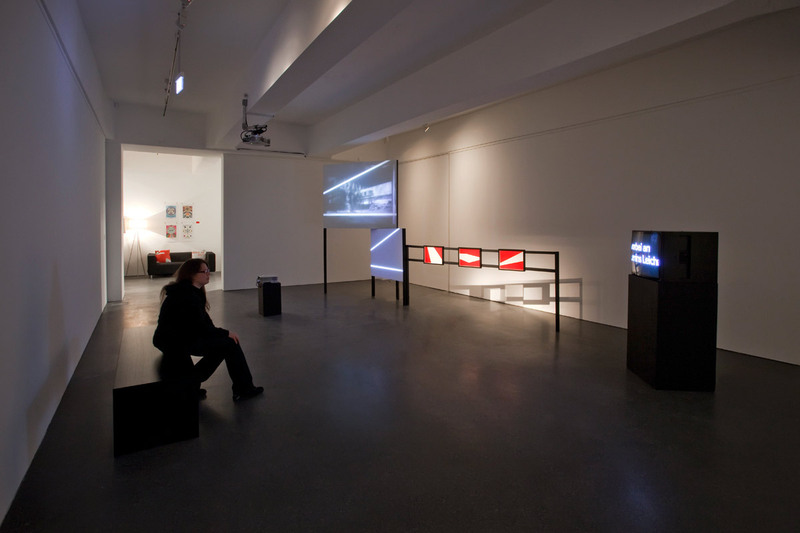 Photography: Hannes Woidich, Commission: Hartware MedienKunstVerein, Dortmund.